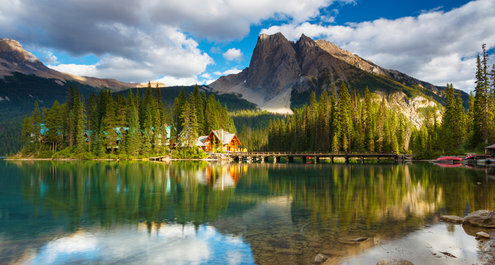 Rugged British Columbia, Canada’s westernmost province, stretches along the Pacific coast. Its culturally diverse, combined with the enviable Pacific Rim is a hub for international trade to Asia and the United States, delivering substantial business opportunities. The BC PNP is British Columbia’s Provincial Nominee Program. Through this program, prospective immigrants with the skills and experience may receive a British Columbia Provincial Nomination Certificate, allowing the foreign national to apply for Canadian permanent residence. These streams are further sub divided into categories. Below is additional information about each of the categories which would help you determine if the BC Provincial Nominee Program is way for you. Skilled Worker Category — This category is for individuals who have received a job offer from a BC employer in a skilled occupation (NOC Skill 0, A or B). The individual is expected to have several years of directly related work experience. Health Care Professional Category — This category is for individuals with directly related experience and job offers from a BC employer, as physicians, registered nurses, psychiatric nurses or allied health professionals may apply. The job offer must be acquired for one of eleven qualifying health occupations. International Graduate Category — This category is for individuals who have graduated from an eligible university or college in Canada within the last two years. A job offer from a BC employer must be obtained to be eligible under this sub-category. The individual does not need to demonstrate work experience. International Post-Graduate Category— This category is for individuals who have graduated from a BC post-secondary institution with a Masters or Doctoral degrees in the natural, applied, or health sciences programs of study. No job offer is required to apply under this sub-category. Entry Level and Semi-Skilled Worker Category — Workers in certain entry-level or semi-skilled positions in tourism/hospitality, food processing, and long-haul trucking, or those in entry-level or semi-skilled positions living and working in the Northeast Development Region of British Columbia, may be eligible for immigration through this program. To read more about the BC PNP Skills Immigration stream, click here. Skills Immigration Section of British Columbia nominates up to 1,350 skilled applicants for Canadian permanent residence under its Express Entry BC PNP Stream, which coordinates with the federal government’s Express Entry immigration selection system. The British Columbia PNP Express Entry stream allows eligible applicants to receive priority processing of their BC PNP application, and if nominated, their permanent residence application as well. To read out more about Express Entry British Columbia, click here. Entrepreneur Category — This category is for senior managers or business owners who intend to invest funds into a proposed business in British Columbia. Strategic Projects Category — Through this category, foreign-controlled companies can set up an operation in British Columbia. In this stream up to five key foreign managerial, professional or technical staff members can be nominated for permanent residence in the province. To read more about the BC PNP Entrepreneur Category, click here. To read more about the BC PNP Strategic Projects Category, click here.